Dorian Silk is an agent with British Intelligence. He is a rebel in a department of sheep, or so he seems to believe. While he has considerable respect for his seniors in the field, there is less than none for those in the head office who never venture out into the real world. 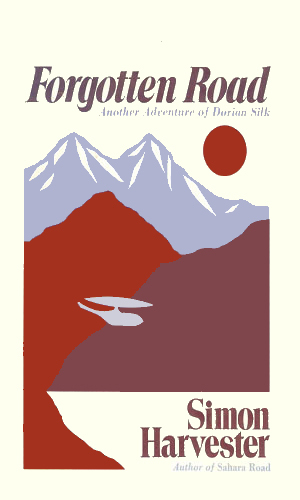 A man in his mid 30's, Silk has been traveling the world for nearly eight years as an agent prior to the start of the recorded adventures. During that time, he spent a good amount in the Middle East where he made predictions of how things would go. When his bosses disagreed, he wrote a book on it under a penname and was later proven right. He did the same thing in North Africa when he was transferred there. proving again his ability to grasp the local situation and his inability to get management to believe him. He is described by an associate as being quick-tempered, impetuous, and not one to suffer fools gladly. He is also quick to react and quite handy with a gun as needed. 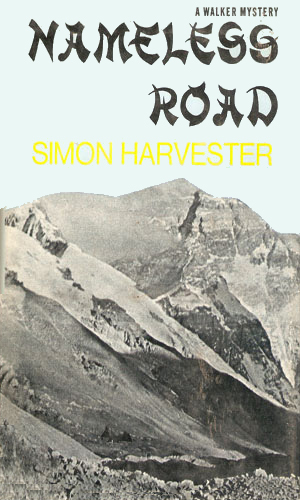 Note: Harvester's habit of naming his books in the Silk series with the word 'Road' truly got its start with Dragon Road in 1956, a novel about an agent in the Burma area named Kenton. The two characters are quite different, though. 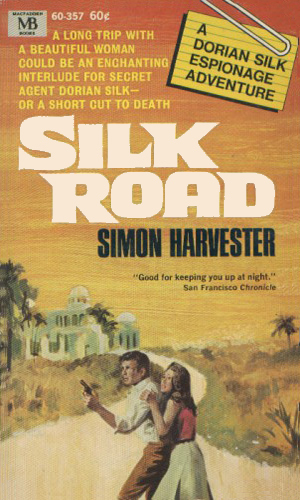 Note: Harvester wrote almost a prequel to the series the year before the first Silk novel was released. "The Chinese Hammer" stars an agent by the name of Heron Murmur operating in China near the Bhutan region. The connection to Silk is the fact that Murmur's immediate supervisor is a man named Swann would was also the supervisor for Silk during his first few missions. An informant passes on that something big was happening in Iran and then disappeared. Dorian Silk is bullied into going there to find out where he is and what is happening. If he could keep a tight time table, the mission in Afghanistan to get information from an informant and get it to India should go smoothly. But the number of random obstacles that kept coming seemed to make that impossible. His mission into Central Asia had gone well but now as it is time to leave, Dorian Silk is finding getting out of the region is far harder than getting in. And staying alive is the more improbable task. A new self-proclaimed Prophet leads a band of assassins in another attempt to rouse the Arab community to strike down Israel. 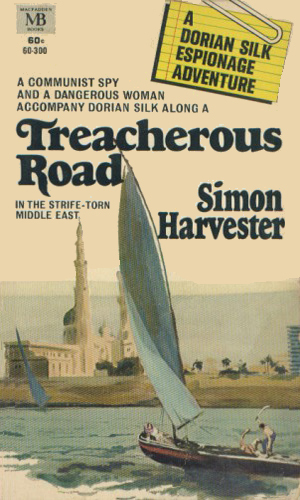 In Jerusalem, Dorian Silk uses an Egyptian beauty to find and de-fang the leader. When his direct superior in the field is found beaten to death in Egypt, Dorian Silk has to wonder if the beautiful woman with whom he was spending time was an innocent or a member of a fanatical group out to kill all Westerns. 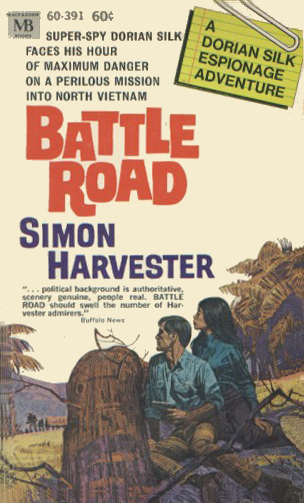 Dorian Silk's friend Hunter was trapped behind the lines in North Vietnam. Given the impossible task of finding him and getting him out, Silk must use the man's luscious mistress as a guide but that is likely to get both killed. An old lover, the wealthy and beautiful Egyptian Fathiya, has been kidnapped and flown to Israel possibly as a gambit in a new war between the Jews and Arabs. Whatever the reason, Dorian Silk is determined to get her free. 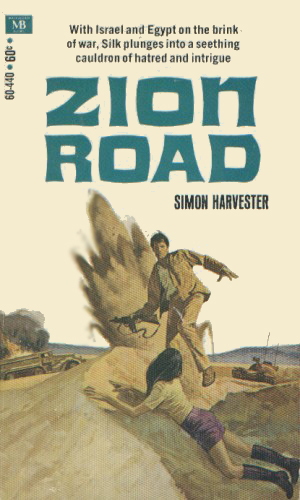 The mission, on behalf of a secretive group in Japan, was to smuggle an agent out of China but bad weather and faulty navigation has caused Dorian Silk to land off cource in Inner Mongolia, alone and with a busted radio. Survival seemed impossible. Trying to track down a traitor inside the intelligence organization, Dorian Silk is drawn to a trade fair in Moscow. That move puts him in the middle of the enemy camp with few friends and fewer options. The death of two agents in Algeria makes the agency understandably upset so they send Silk to that region to find out who is doing the killing and why. Arriving in the desert country, Dorian Silk is immediately targetted so finding the killers won't be hard but living might be. 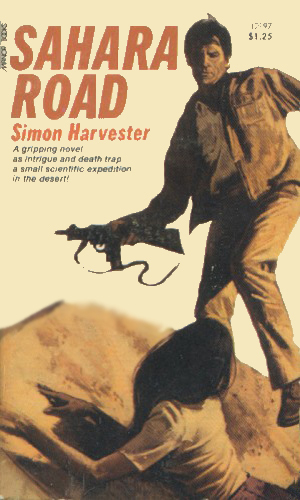 On a mission to northwest India to find why an agent there has not been heard from, Dorian Silk is attacked and injured. When he awakens, he has no memory of who he is. Mistaking his cover as an archaelogist for the truth, he has no idea why he is being tracked. 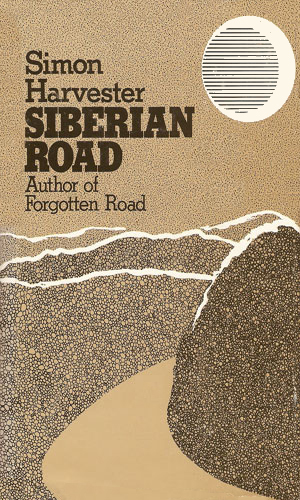 The vast emptiness of Siberia can hold many secrets. Fearing it is there that the Soviets are working on the latest weapons for the next big war, Dorian Silk is sent in alone to sniff out what he might. The KGB, though, has better sniffers. 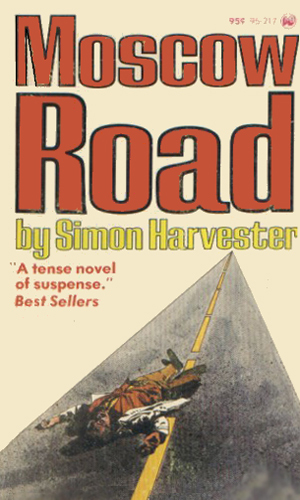 If you don't read Mr. Harvester's excellent series for its great spy craft, you should read it for its incredible prose and pacing as they are both truly incredible. But most certainly reading it for its history and its feel for the lands they take place in is by far the best reason. It is easy to see how governments come and go but the regions really never change. Iraq in 1960 is the same as it is in 2009. The same holds true for the other locales in which the tales take place. I think the Silk novels are near the top of the pile and heartily endorse them. 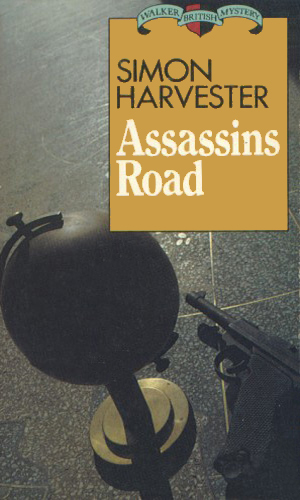 The Soviet embassy in Ulan Bator had a standing order for twelve copies of every book Harvester wrote, which were sent straight to KGB headquarters in Moscow. 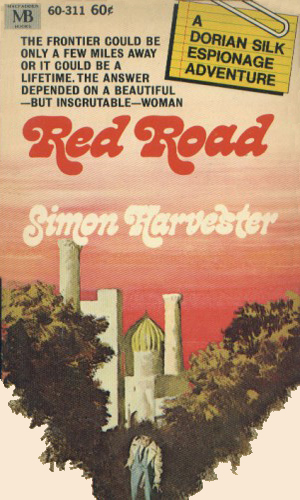 Harvester was that accurate about the Far, Near, and Middle East he wrote about. Despite his flair with beautiful women Silk is a far more old fashioned agent than Bond and something of a throwback to Talbot Mundy's early tales of Jimgrim. These are not only at the top of the heap, but among the best of their kind. 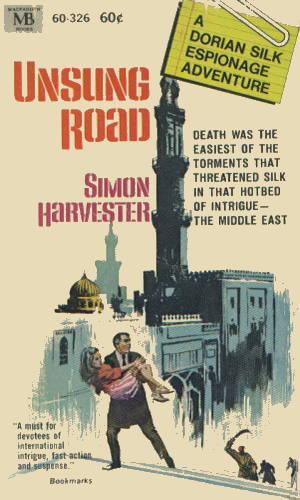 Harvester also wrote some good spy novels under his own name.